A variable-indexed annuity gives you the opportunity to earn returns based, in part, on the positive change of an external index. 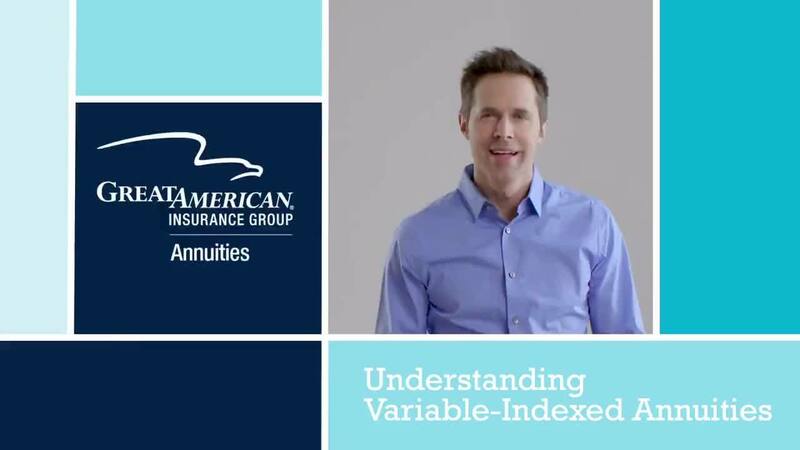 How do variable-indexed annuities work? When you purchase a variable-indexed annuity, you have the opportunity to select from indexed strategies that offer you the opportunity to earn returns based, in part, on market performance. Funds in an indexed strategy earn returns based, in part, on the positive performance of an external index, such as the S&P 500®. When index performance is positive during a term, your variable-indexed annuity earns a return, up to a maximum gain. When index performance is negative during a term, you could lose money, up to a maximum loss. This means you can participate in market growth, while knowing your loss potential is limited when the market experiences downturns. Growth opportunity: Grow your variable-indexed annuity without investing directly in the market. Limit downside risk: With a variable-indexed annuity, you will receive a level of protection from market loss. No upfront or recurring fees: You won’t pay fees unless you take a withdrawal or surrender your variable-indexed annuity during the early withdrawal charge period. Tax deferral: You don’t pay taxes on the returns your variable-indexed annuity earns until you start receiving payments or take a withdrawal, so your variable-indexed annuity may grow at a faster rate. Guaranteed retirement income: When you’re ready to turn your variable-indexed annuity into retirement income, you can select from a variety of payout options, including an income stream that will last for the rest of your life. A variable-indexed annuity may be the right choice to grow your money based on market performance, if you’re willing to take on some risk for competitive earning potential. If you’re interested in keeping your money protected, you may want to consider a fixed or fixed-indexed annuity. Variable-indexed annuities are sold by prospectus, which contains information about the annuity’s features, risks, charges and expenses. You should consider that information carefully prior to investing. Variable-indexed annuities are sometimes referred to as index- or indexed-variable annuities.